LIMITED EDITION PRINTS - The images in this section are all available through our gallery as limited edition C-PRINT's on Fuji Flex Paper and are UV laminate backed with solid aluminum. Please contact the gallery for additional questions, pricing and inquiries. This series celebrates the wilderness and the greatest artist of all, Nature. Using slow acting geological forces and abrasive powers of wind and water, she patiently sculpts fascinating formations that transcend comprehension and stretch our imagination. In the wilderness, some stand proud, posing for crowds while others hide away in solitude. Many become so delicate that the very forces that created them eventually end their existence. I want to tell the story of such creations in a way that will entice and motivate the viewer to learn and explore. 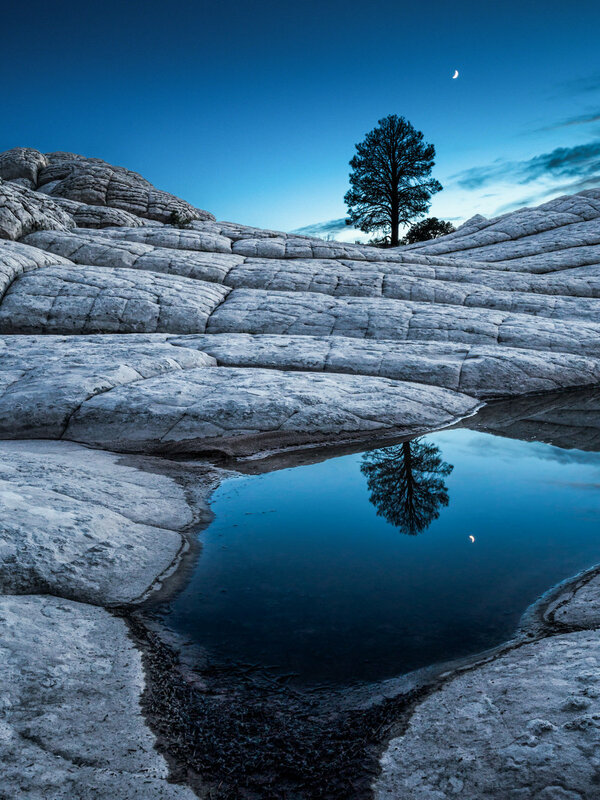 The series title, Elusive, refers as much to the unique light conditions I want to capture in my photographs as to the relatively short geological life span of these formations. Long term meticulous planning is required to achieve the desired harmony between the subject and the quality and direction of light I seek. Multiple revisits and a little bit of luck are often necessary because not all can be preconceived and anticipated as Nature presents herself in fascinating and unpredictable ways. 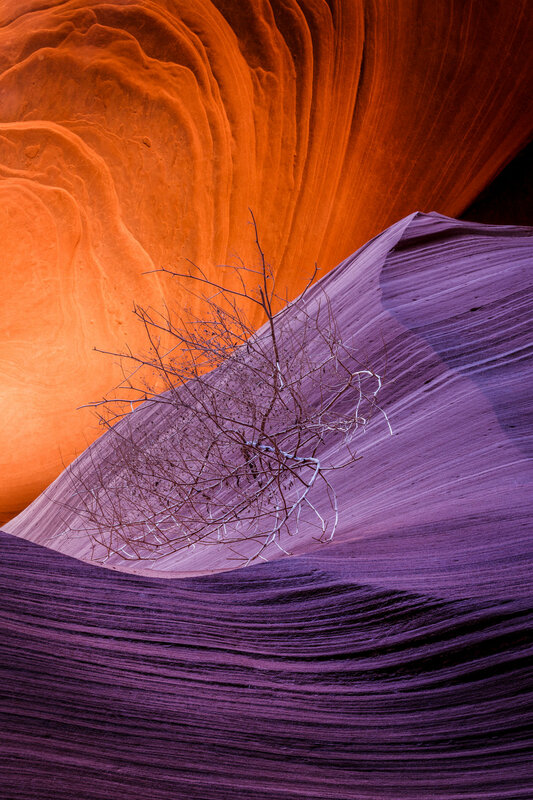 Most of the photographs in this exhibit come from a remote region that straddles the Arizona and Utah border, a place known as the Paria Wilderness in the Vermilion Cliffs National Monument. Some of these locations can only be reached after hiking for miles in the desert, in scorching heat with a threat of flash floods. 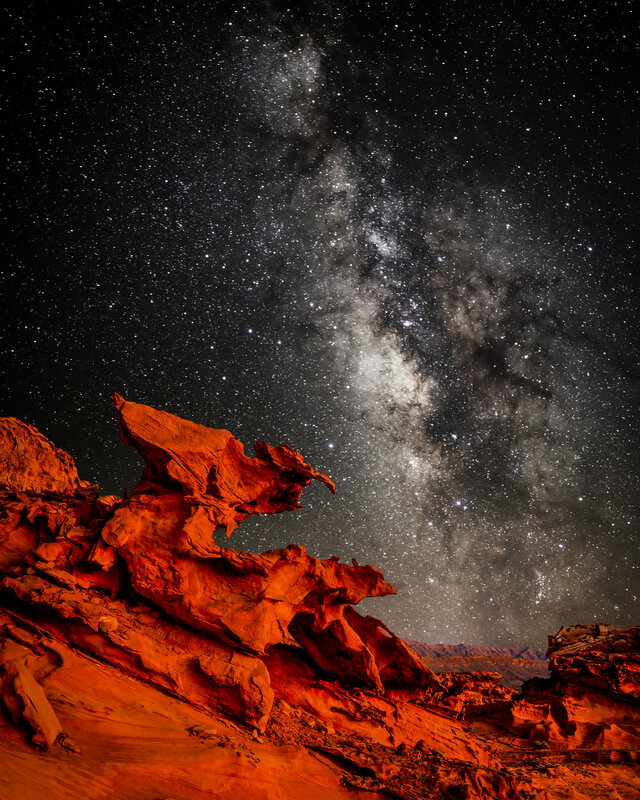 At night, the habitat becomes alive with creatures that call the desert home - rattlesnakes, bats, and coyotes. Nighttime photography holds a special place in my heart because I have loved astronomy since I was a child. 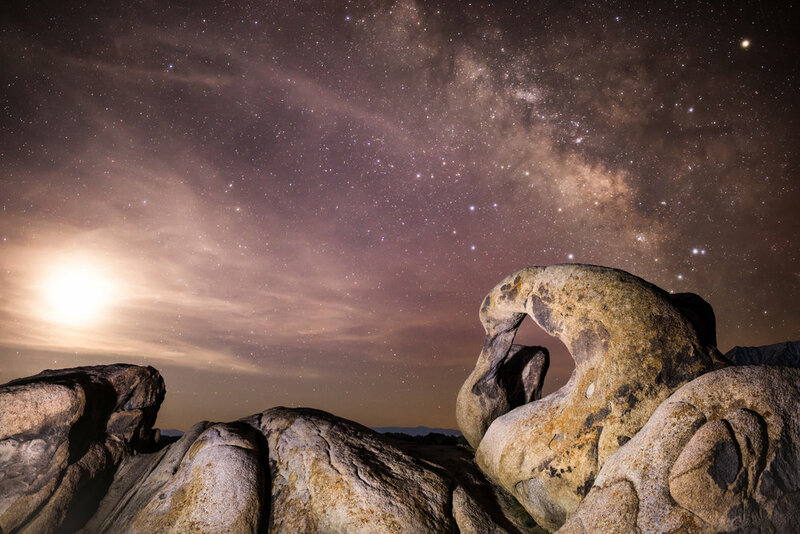 Night landscapes are especially challenging because of the need to work with very faint light. The technique I use might be called “purist” because the entire image is always formed in the field during the exposure with the light available at the moment, be it a residual sunset glow, moonlight, or the light supplied by a flashlight. This gives the photographs an atmosphere that is difficult to achieve by alternative techniques such as blending exposures taken at different times of the day. Light painting with a flashlight can be described as real-time dodging and burning similar in spirit to that which is done in a conventional darkroom during developing. In 1964 Jessica Fridrich was born in Ostrava in the Czech Republic into a family of two children. One of her earliest memories includes watching her father mix oil paint on an old wooden palette while he patiently explained why a particular ochre needed a breath of beet red and why that barren tree was so essential to the composition. In the Fridrich family the love of art was passed down from generation to generation, starting with her paternal great grandfather who made a living as a professional portrait photographer before World War I.
Ms. Fridrich also credits her father for sparking an early interest in astronomy and optics and for igniting her lifelong fascination with light. Eventually she chose to pursue a career in science and engineering, but her love of the fine arts and the technical aspects of imaging were never far behind. When Ms. Fridrich came to the US in 1991 to study applied mathematics at Binghamton University, she fell in love with the picturesque Finger Lake region with its waterfalls and all the close connections to Nature that a small upstate New York town offered. Jessica still enjoys all these small town advantages as a tenured professor teaching in the Department of Electrical and Computer Engineering where she has made a name for herself as a leading expert in digital camera forensics and steganography which is the art and science of covert communication in digital images. 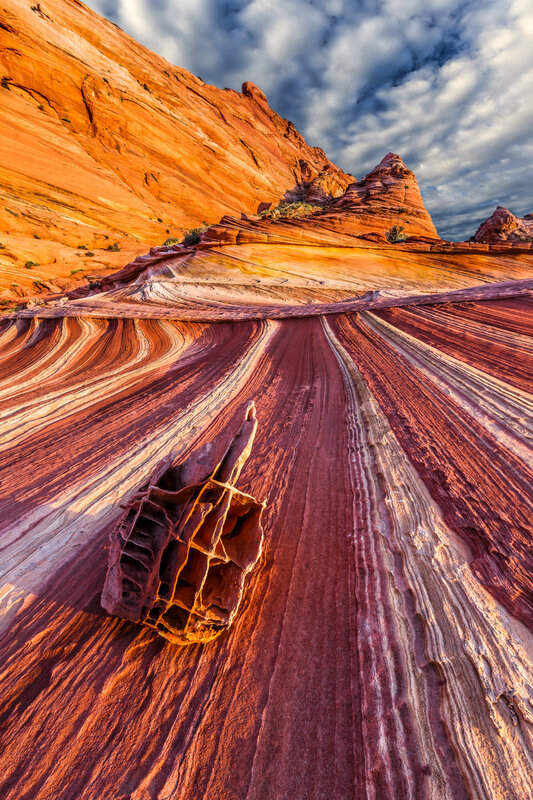 A 1993 cross-country trip with her spouse to the American Southwest ignited Jessica's passion for the deserts and canyons of the colorful Colorado Plateau. The unique smell of wet sand after a storm, the bottomless deep night sky, and the distant howl of a coyote are permanently etched in her memory. Ms. Fridrich turns to the work of Michael Fatali and the books of Laurent Martres for inspiration and frequently returns to the Southwest to capture and share its atmosphere and timeless beauty through photography.